The Christmas Quilties are ALL in the mail!!!! I want to thank each and every player for joining in on the fun. And again, thank you for being patient while I recovered from my surgery. HAPPY NEW YEAR TO EVERY ONE !!!! May God Bless each and every one who stops by!! I am feeling better these days.... But I still get tired easily. 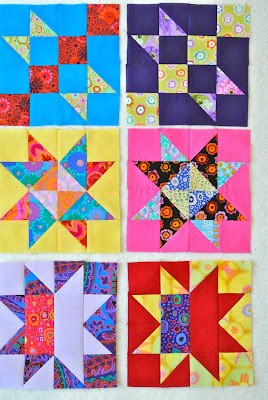 Okay Quiltie Ladies...I have a question for you??? 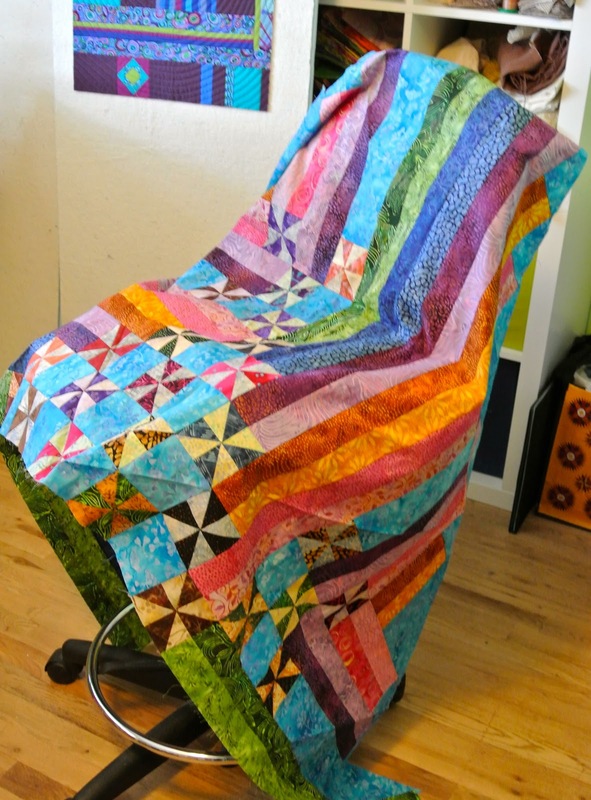 I have one more quiltie in the mail. (Sue) She also has had the same surgery as me, one week ahead of me. 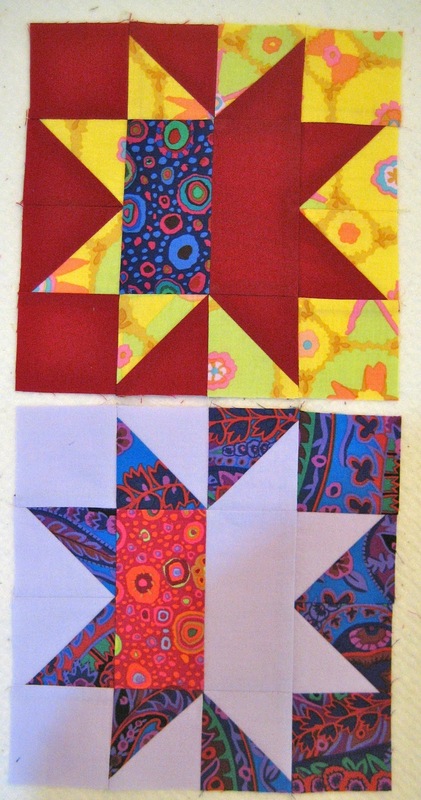 She has worked real hard on her quilties. They are not here yet, but in the mail. Do I wait just a few more days?? 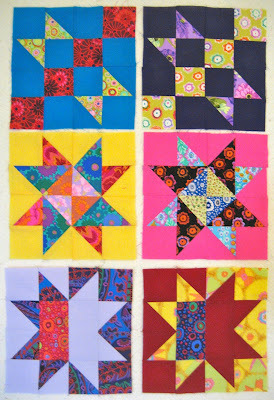 Or should I trade and send out the quilties I have. This trading thing is new to me,... what is the common practice?? I know I have taken longer to trade back this time....going into emerency surgery kind of threw me for a loop. :):) I thank you all for your patience. 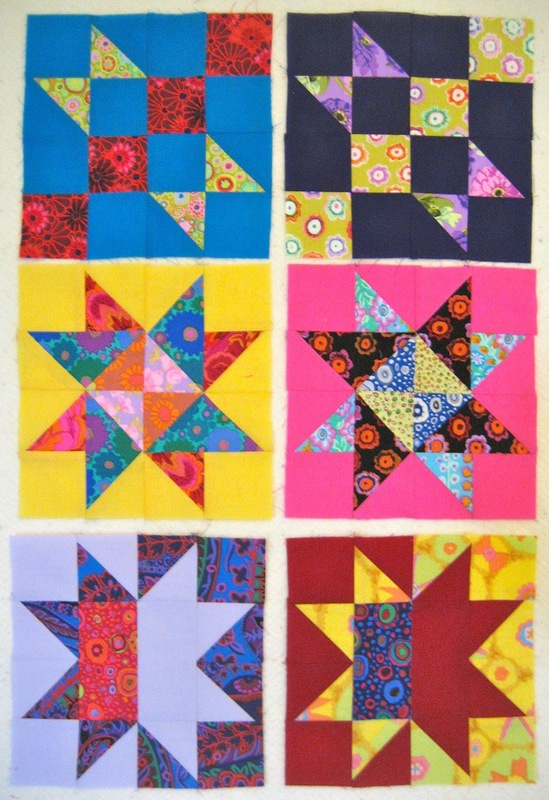 Let me know what you think about mailing out the quilties. Hope you all are having a wonderful Christmas season!!!! PS... I have figured it out. My Hubby came up with a brilliant plan. 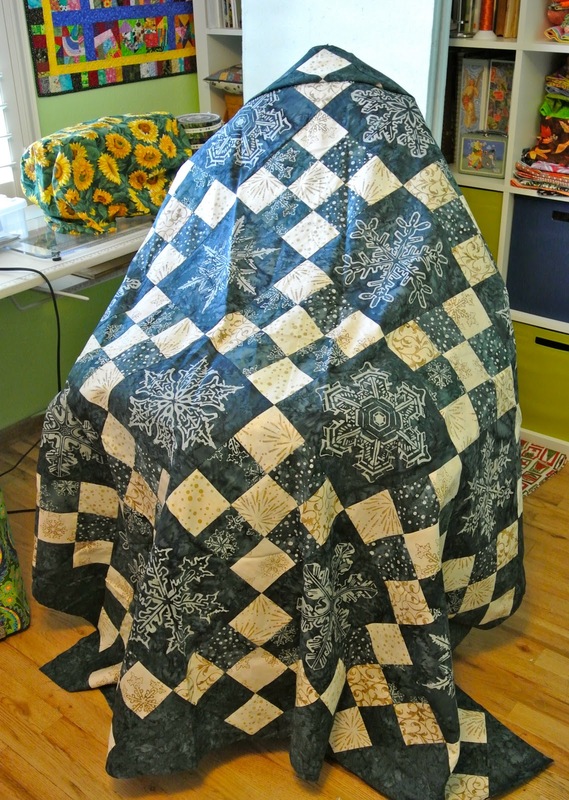 I am holding back 3 quiltie traders, so when Sue's quilties come in we will trade with her. I will mail out everyone else's on Friday!!! I really want Sue to join in on the fun. 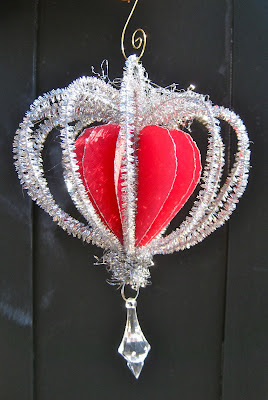 Hello Blog Peeps!! I am going out on a limb here, and putting myself on the GET IT DONE line. I am hooking up with Judy over at the Patchwork Times. Judy is hosting a 2012 UFO list. Each participate needs to list 12 projects they would like to see finished in the new year. 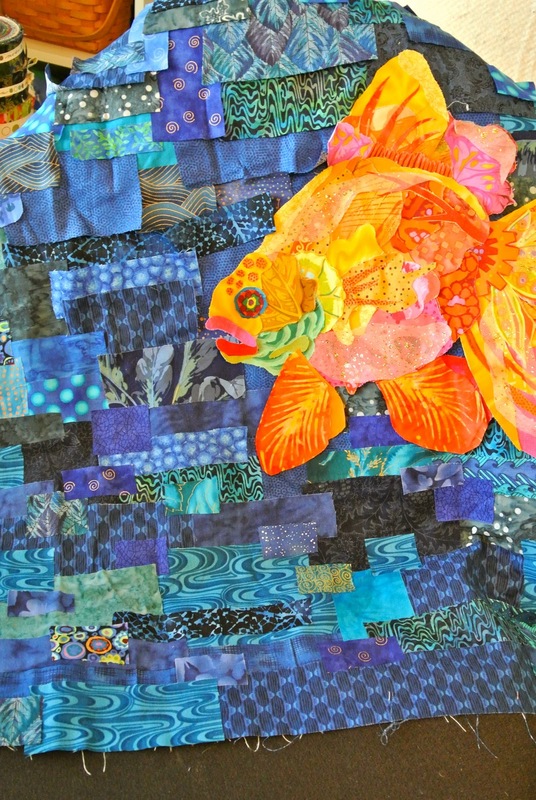 1# Above is my fish, from my Susan Carlson class. 3# My Kaffe Fasset quilt. I thought I was done ...but it is to small for a queen. 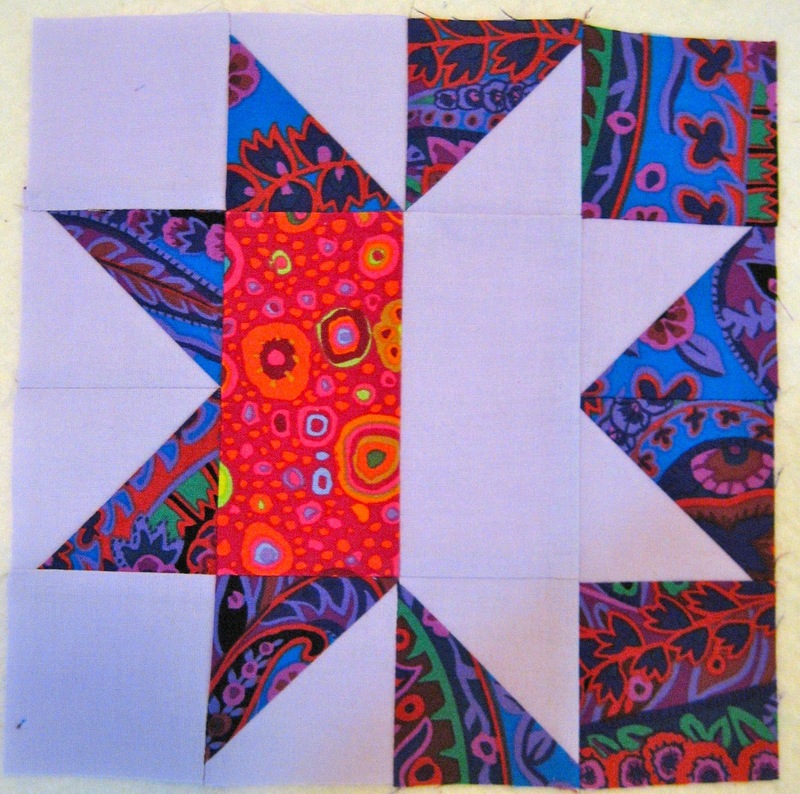 So I need to do about 8 more blocks and quilt and bind it. 5# I have been working on this quilt for 3 years. 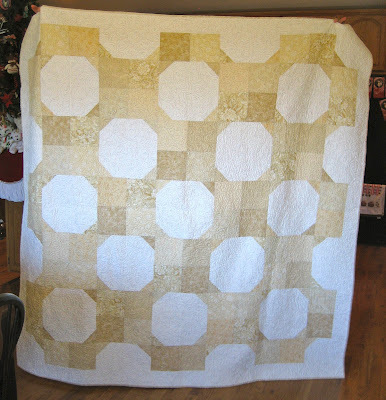 I am hand quilting it with gold metallic thread. 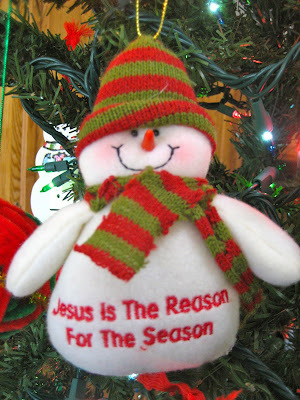 I would love to hang it in my house this coming Christmas. 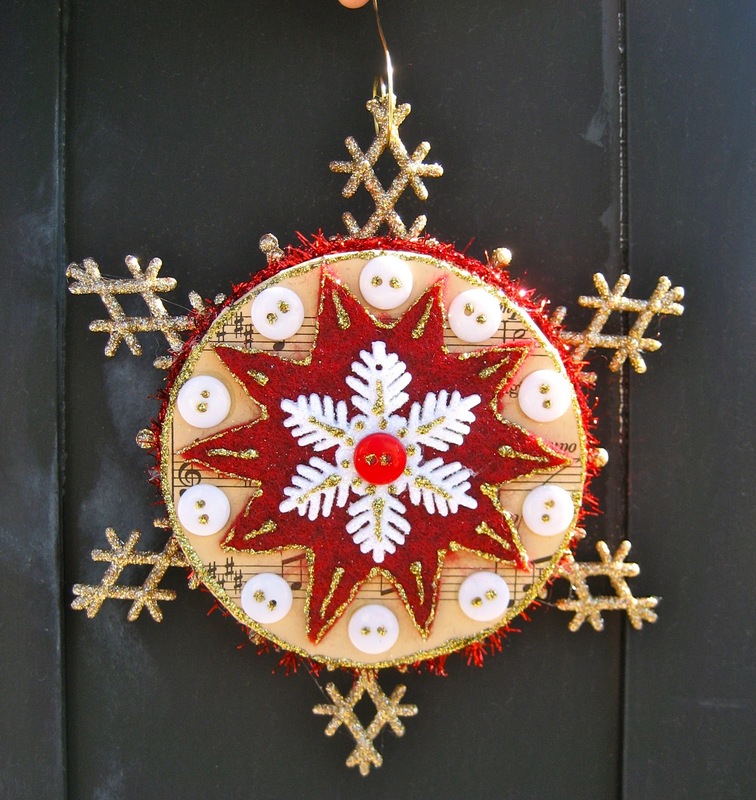 6# My snowflake quilt. 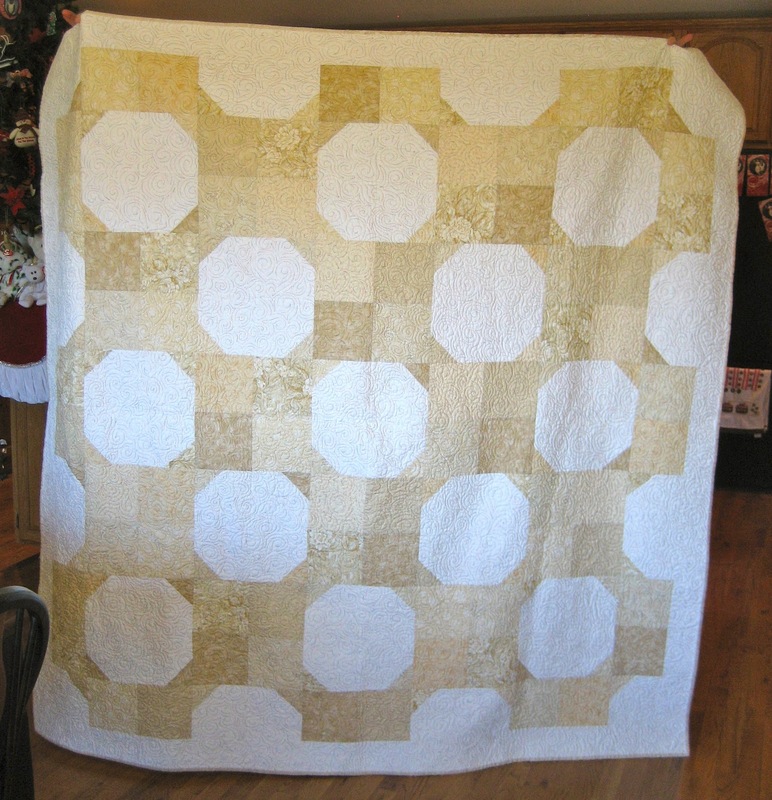 Needs a border and quilting and binding. 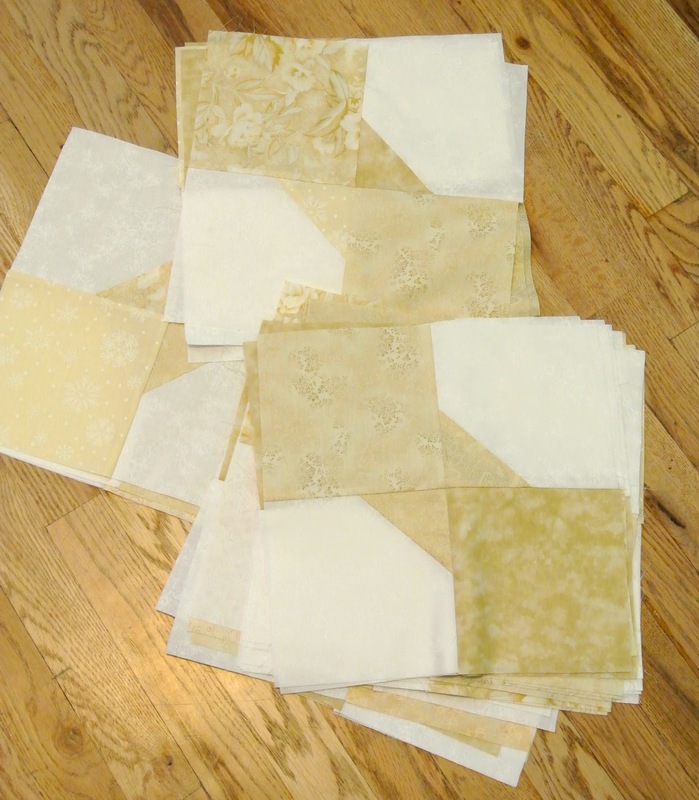 7# cream blocks, need to become a quilt. 8# Scrappy trips around the world, by Bonnie Hunter. They need a braided border, quilting and binding. 9# here is my QAYG project I started with the help of Marianne over at the Quilting edge. I love the way this is turning out. I really want to get it done this year!! 10# I made this quilt quite a few years ago. Then just stopped. It needs borders, or something.? I need to finish it!!!! 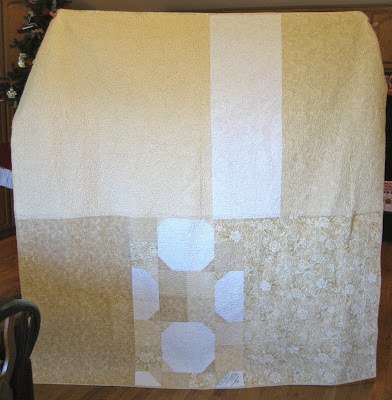 11# I made this quilt from a quilt magazine. For the life of me I can't find the pattern to give who designed it credit. 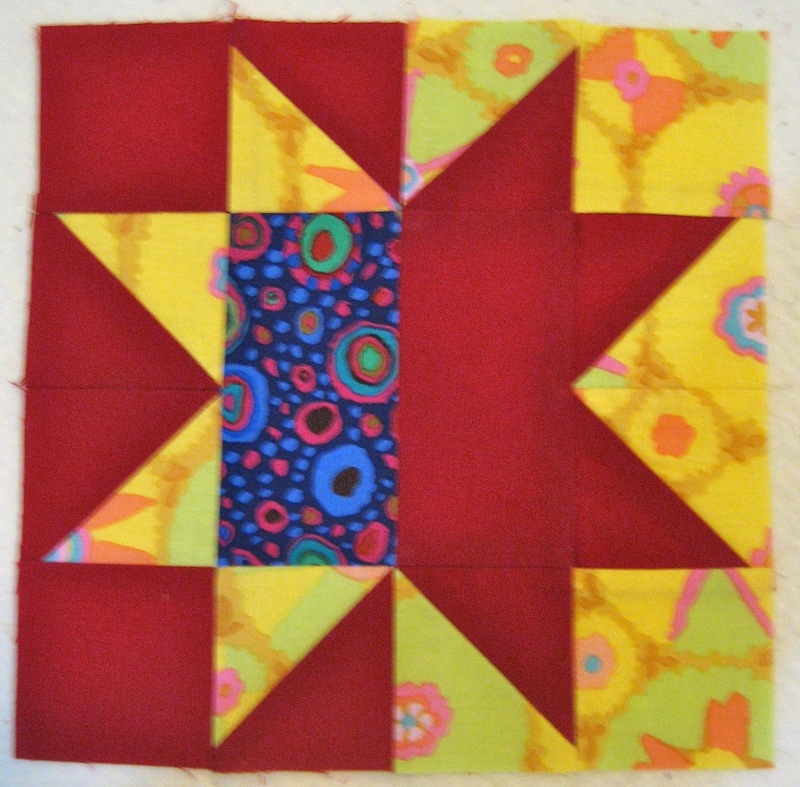 But it is in 2 pieces, then quilting and binding. 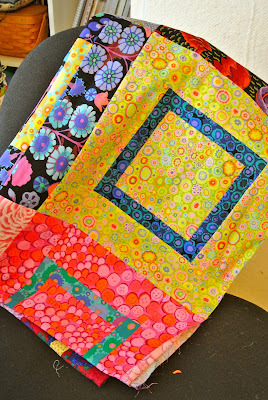 12# Finally but certainly not the least..... My ART Journal quilt for 2011. I have been making these little quilties all year. 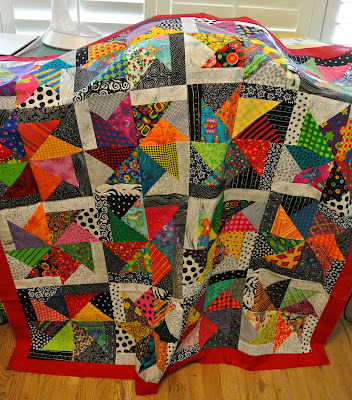 I want to make an all black quilt to attach each quiltie onto it. Then hang it over my sewing machine in my art room. Well, This will be my last post until the new year....taking time to spend with my 11year old Daughter who is home for Christmas break. MERRY CHRISTMAS TO ALL......AND TO ALL A GOOD NIGHT!!!! Be Blessed, I am!! part two--pink strings. The papers are cut and stings are ready. The green stings are for part 4, their paper are cut too. Again thanks Bonnie for sharing your talents with so many quilters. One week left until Christmas day!!!...... Hope ya'll have a super Christmas week!!!! 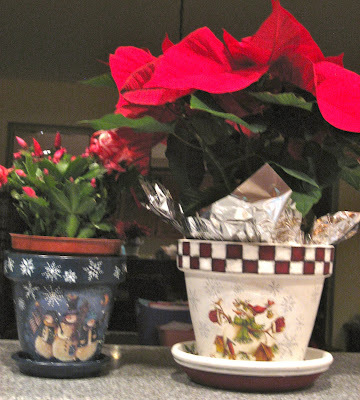 I am so mad at my camera..... it is not doing these beautiful pots justice!!!! (Sorry Karen) I have always been a fan of red, white, and blue... and the snowflakes are very sweet. She also brought me this adorable bag filled with the wooden spools! Which as a sewing person....I'm addicted to.!! One can never have to many :):) I love all my presents Karen, thanks again...and I really enjoyed you sitting and chatting with me for the day. Here is the quilt I made for her. The quilt measures about 76x76. Here are a couple of close ups of my quilting. I don't have a long arm. I did this on my Bernina. And finally my dear friend Karen. I got the feeling she really liked her new quilt.....she held in her lap the rest of the day. :):) giggle... She was making sure it went home with her !!! I like bright color myself...but as this quilt started to come together....I started really liking it and wondering if I should just keep it. 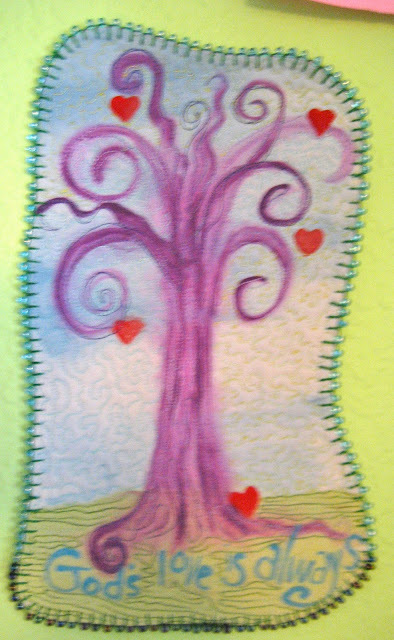 As quilters we put soooo much time, heart, and energy into our craft....its hard to let them go at the end. 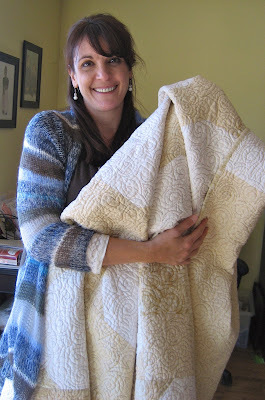 But, I start thinking about the person I'm making the quilt for and I realize I need to give them a piece of me. 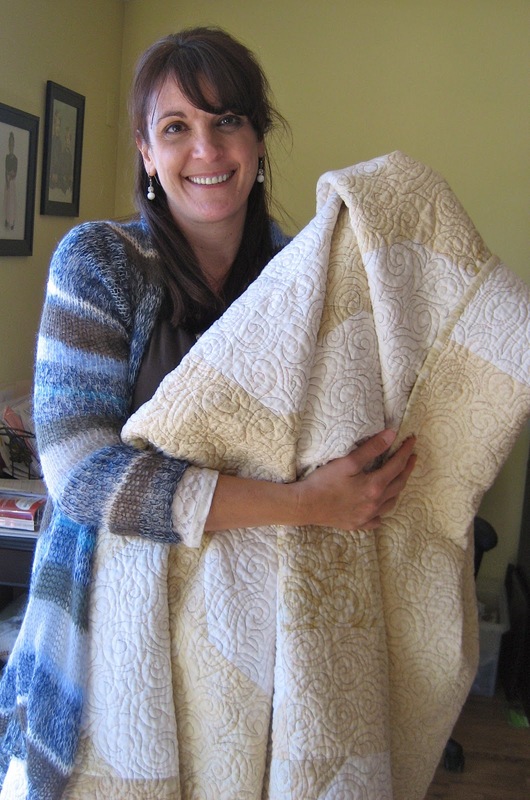 So, it was with great joy on my part to give this quilt to my dear friend. Love you SWEETIE !! Your friendship means the WORLD to me. Well, that's it for me today... until next time!! 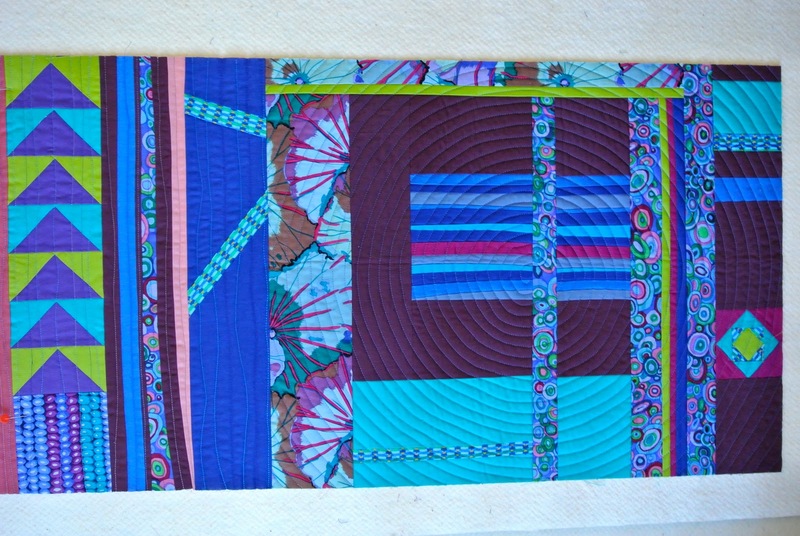 I took a class from Melody Johnson at a quilt show. WOW!!! She is just amazing!! She was a lot of fun, and very informative. 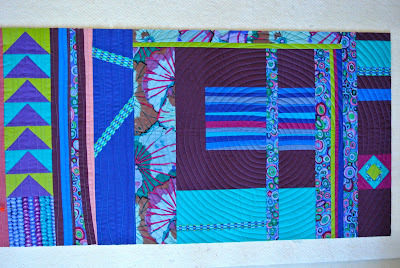 Here is my small quilt I made with her hand dyed fabric. The size is 10x12. 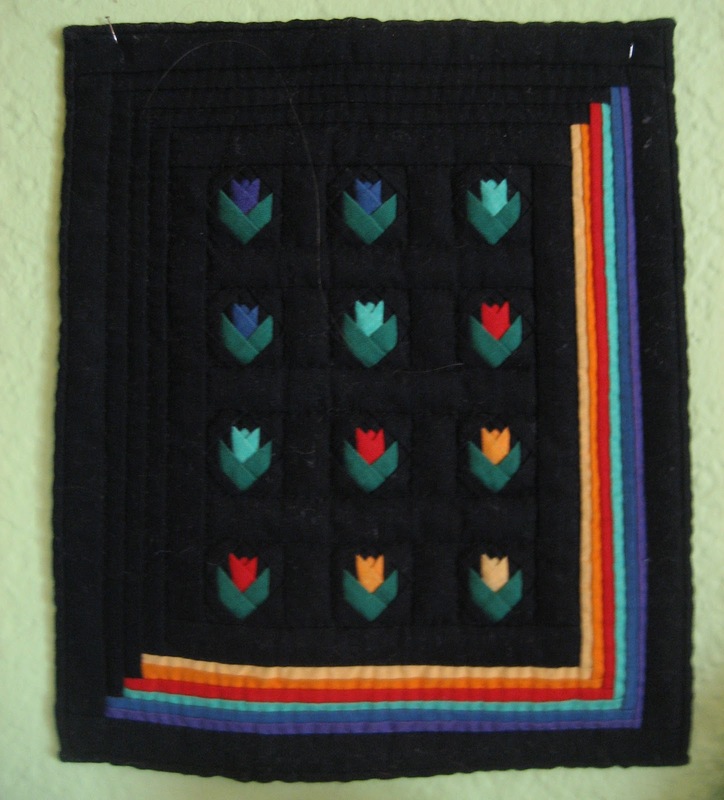 This tiny tiny quilt was made in 1999. It measures 5x7 inches. The flowers are 1 inch square. 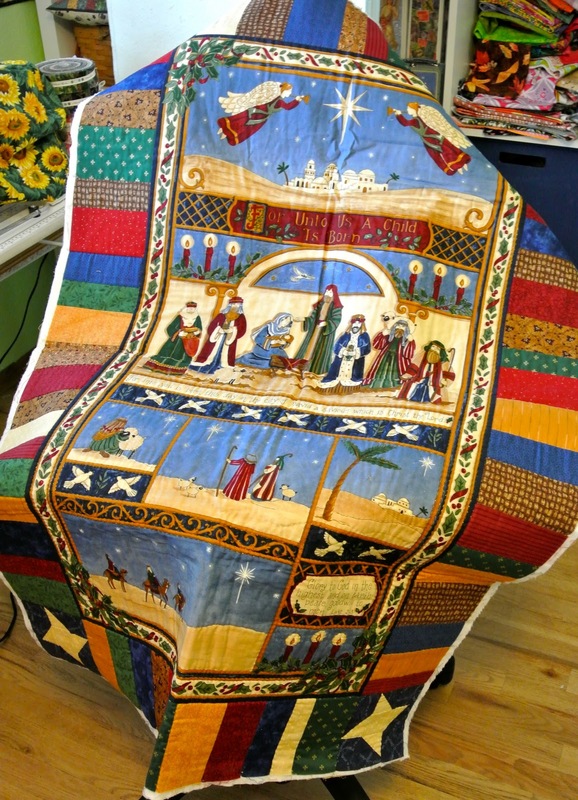 This quilt is painted on muslin. It measures 6x10. I added a bead border. Well, that is my teeny tiny show and tell. Hope every one is having a great day !!! Here is my 3rd month of the Blogger's Block of the Month. This month Stephanie over at the Loft Creations has made the design for this months block. Here is my second block. I'm really liking my color combinations. 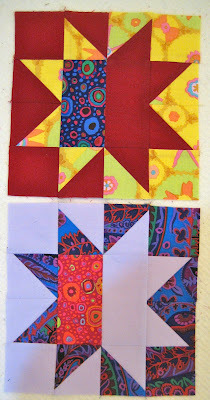 I am hooking this post up with the FRESH SEWING DAY over at Lily's Quilts. 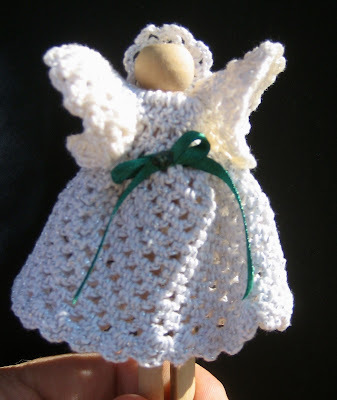 I have been working hard on Christmas presents last month, and can't show much. (they are a secret :O) But, I did get the chance to make my Blogger's BOM. Thanks for stopping by! !